The Knights of Columbus organization puts an emphasis on serving one’s church, community, and family with virtue. That is exactly what is going on at their chapter 10157 at St. Raphael Church on Snell Isle. Father Kevin Mackin visited Pinellas Hope and saw the sad state that the tent shelters were in. They leaked when it rained despite being covered with tarps, and they offered little in the way of comfort and safety. 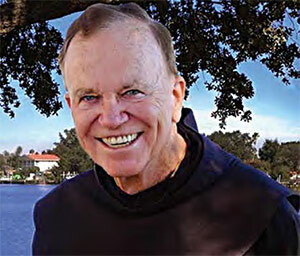 At a fundraiser dinner for Pinellas Hope held at St. Raphael parish on Snell Isle, Father Kevin approached The Knights of Columbus chapter with the idea to find a better option for sheltering people at the facility. Pinellas Hope opened in 2007 on 10 acres of property provided by Bishop Robert Lynch and the Diocese of St Petersburg. It was supposed to be a temporary pilot program that would last for 5 months. 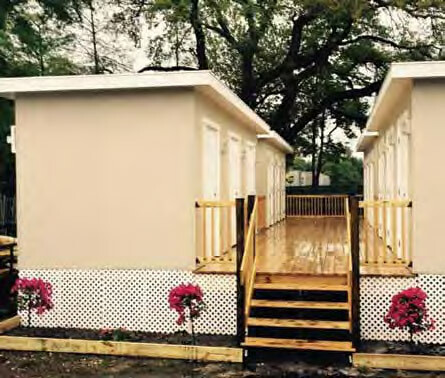 Today Pinellas Hope II sits on 20 acres offering a safe living environment for the homeless and support to assist them in becoming self-sufficient once again. It has a community center, kitchen, meeting rooms, and a covered dining area, as well as 80 apartments. Ministries provided there in addition to shelter are food, clothing, adult education, and medical care. The residents must undergo a complete background check before being accepted into the program. The facility has people ranging in age from 18 years to others in their late 80s, but no children or families. Most of these people live in tents. Residents use a mat to sleep on and a plastic bin to hold their belongings. But the tents that most of the homeless sleep in are not in optimal condition. Father Kevin had a vision: There had to be a better way. At the fundraiser, Father introduced Kevin Greeno, a local painting company owner, to Mark Dufva, the CEO of Catholic Charities. Kevin then toured Pinellas Hope. “I was blown away by the lack of proper housing we have in our community for our fellow brothers and sisters,” Kevin told me. The Knights formed a task force based on their First Degree principle of charity. The Grand Knight, Jerry Sirgey, appointed Kevin Greeno to lead the task force. The committee was comprised of structural engineers, architects, electrical engineers, and general contractors. 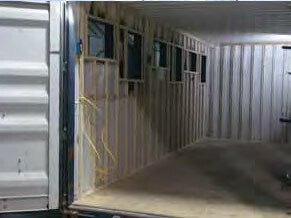 One of those contractors, Jimmy Schmidt (owner of St. Petersburg Building and Restoration), had been developing ideas for tiny houses built by using shipping containers. He told me that his concept was originally intended for use by millennials who might be looking for smaller, more affordable housing options after finishing college. The committee researched other types of housing that could be employed – for instance, composite or plastic injection homes – but they kept coming back to the shipping containers. The containers are sent from China carrying higher-end clothing and are only used once. After they arrive to the port and are emptied, they are stacked and left to disintegrate. These containers are clean, sturdy, durable, and readily available. They are also strong enough to stand up to hurricane conditions. It made sense. Especially since 140 tents had previously been destroyed in weather events, displacing the residents who have hardly anything but a tent. Catholic Charities had to use emergency funds to replace them. 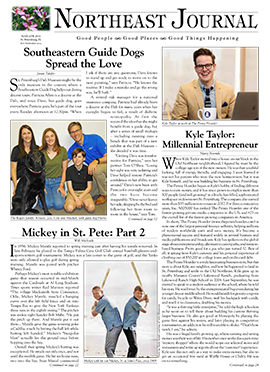 Once they decided on the shipping containers, Kevin and Jimmy, along with partner and general contractor Patrick Millrons, worked on different models that could be made using the containers and brought them to Catholic Charities, which operates Pinellas Hope. The project is now named Housing of Hope, and their goal is to replace all of the tents with the Hope Cottage concept. 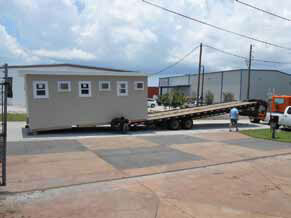 A shipping container is delivered to the facility on 21st Street South where the transformation process takes place. A two-man crew will work hard over the next seven days. Welders cut out doors, windows, and air conditioning spaces. The inside is wired for lighting and foam panels, and fire-blocking, doors, windows, and roof panels are put in place. 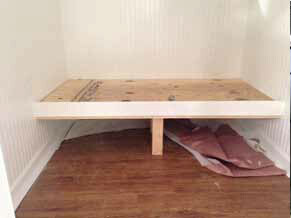 Once painted, the unit is ready to go, complete with three separate units. At Pinellas Hope, a temporary resident will be housed for 90 days. They are assigned a caseworker who assists in gaining self-sufficiency through finding jobs and housing placement. The case manager also checks in with them after they leave Pinellas Hope. To date, twelve units have been placed on site, and there are four more in production. Each unit houses three individuals. Kevin is humbled by the opportunity to be involved in this effort. “In my opinion, I have received way too much credit for the work of many. In any project costing millions of dollars, there are many unsung heroes,” Kevin told me. He credits Father Kevin Mackin’s vision, Mark Dufva’s kind ear and open heart, and the community leaders involved. “This project is dead in the water from day one without them!” Kevin said. If you are interested in helping Housing of Hope, you can visit their webpage. There you can also see a video that follows a resident during her stay and learn more about the community.